GRANITEVILLE, Staten Island (WABC) -- The thief who took an elderly woman's wheelchair parked outside her Staten Island home apparently had a change of heart. 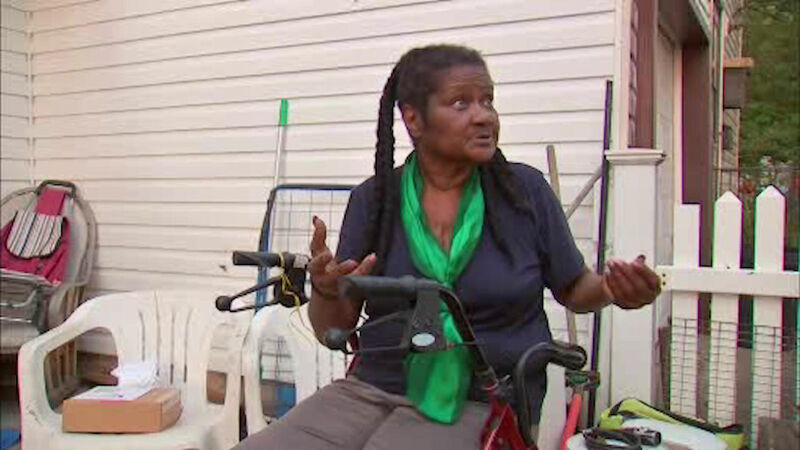 After Eyewitness News aired the story Wednesday night, the electric wheelchair mysteriously turned up. It was left at the end of the woman's driveway on Regis Strive in the Graniteville section Thursday morning. The wheelchair was taken Sunday night when it was left outside her home for about 10 minutes. The chair has been Sandra Prather's lifeline to the outside world. After the 70-year-old had quadruple bypass surgery last month, she needed the chair to get around -- including going to the store and the doctor's office. Danise Resto, Prather's 47-year-old daughter, also uses the wheelchair because she suffered two strokes. "We have a makeshift ramp, so I went to set it up, but I went into the bathroom first and I came out 10 minutes later and then chair was gone," Resto said. The family was concerned because they did not have homeowners insurance to buy another $3,500 wheelchair, and Medicaid wouldn't pay for another one for another five years. Several people reached out to Eyewitness News, offering to help the family -- but they now don't need to do anything. Thankfully, the person who stole the wheelchair decided to do the right thing and return it.